5 Minimalist Make-up Must-Haves — Anna Akbari, Ph.D.
Each week Sociology of Style shares a few resources that are on our image radar (but probably aren’t on yours — yet). Know something we should check out? Let us know! Use as few products as possible, with maximum benefits. 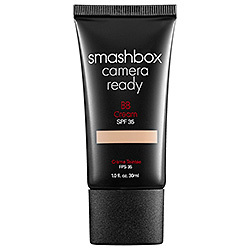 Smashbox Camera-Ready SPF 35 BB Cream: These 5-in-one formulas originated in Asia as post-production for makeup artists. They discovered that it actually works to hydrate and perfect skin without having to cake on layers of different products. You can use it as moisturizer, primer, foundation, concealer, and oil control all-in-one product, cutting your get-ready time into a fraction of what it used to be. This Smashbox formula can be used “progressively,” meaning you can control how much coverage you like by adding more product, and it’s SPF 35 so your skin is protected, too. MAC Haute & Naughty Lash Mascara: Did you know that most of the world’s mascara involves the same basic components of pigments, oils, and waxes, with only very slight variations – for example, the difference between “waterproof” and non? What you’re really paying for when you buy mascaras with different effects is the shape of the brush. That’s why this double-dip piece by MAC is such a great buy. It includes two brushes in one package, one that’s meant to define and lengthen for natural-looking lashes (the pink end, which has a very small brush) and one that’s meant to load on the volume and drama (the glittery, nightclubby-looking tube, called Naughty.) The Haute brush is perfect for light or professional makeup, and you don’t even have to bring a different tube of mascara to switch your look up for the evening. 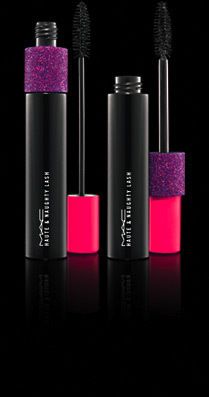 Tip: Layering the two for a night out gives you lashes that are full and thick, but also defined. 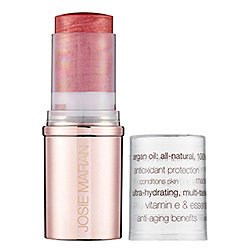 Josie Maran Argan Color Stick: This dual-use color stick is safe to use on all parts of the face, and is specifically formulated with hydrating Moroccan oils to treat your skin with hydrating, anti-aging Vitamin E, while adding just a sheer hint of subtle color. Dab it for a light tint to the cheeks, or swab it over your lips for a dewy flush. 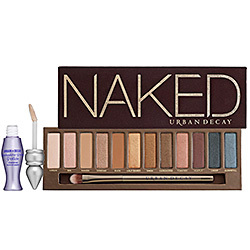 Urban Decay Naked Palette: This slim and sleek eyeshadow palette manages to pack a whopping 12 shades into its thin, subtle case, and the shades themselves are infamous in the makeup industry for being a universal complement to any skin tone. Though it includes only nudes, beiges, and neutrals, the textures span glitter, shimmer, and matte. They are easy to mix and match so that you can create plenty of simple and professional looks, but can easily use the same palette as your go-to when you go out. The case also miraculously manages to include a mirror and professional-quality, dual-ended eyeshadow brush, plus a free travel-size (and highly renowned) primer potion to keep your eye makeup from budging all day and all night – making this one powerful and practical set. 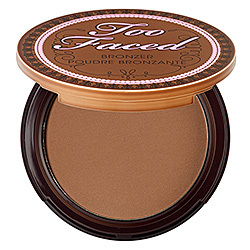 Too Faced Chocolate Soleil Matte Powder: This powder formula was originally intended as a bronzer, and it is great for adding a bit of a life to a washed-out winter pallor. However, its shade is versatile enough that, depending on where you apply it and the brush you use, you can also use it as a darker blush (to add some contour to your face) or as a neutral, matte eyeshadow complement. It also has real cocoa in it, which gives the formula both a number of therapeutic, neutralizing properties and a delicious smell.